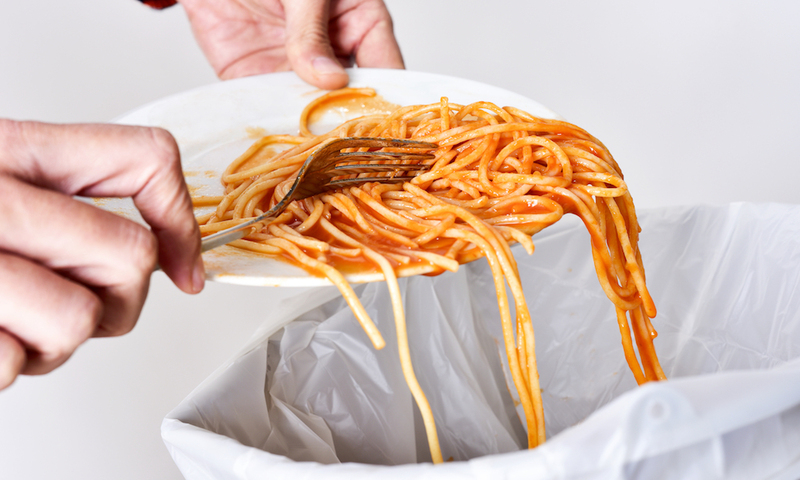 Most people will say they actively try to avoid wasting food, yet Australians collectively throw away almost A$6 billion worth of food every year, and food waste represents about a quarter of all household rubbish. This waste usually ends up in landfill where it decomposes, producing potent greenhouse gases such as methane. The majority of this food comprises meal leftovers, partially used food (such as half an onion), and whole foods that expired before they could be consumed. With the average family household throwing out up to three 5-litre bin liners full of food every week, there is clearly some room for improvement. To help households waste less food, first we need to understand exactly why it happens. My research has identified three major contributing factors: food location knowledge (where are items stored? ), food supply knowledge (what items are available? ), and food literacy (how are items used and how do we judge if they are still edible?). A lack of food location knowledge would leave food items languishing out of sight, buried the back of the fridge. A lack of food supply knowledge would lead to purchases of food that we already have (stockpiling). And low levels of food literacy can lead to edible food going unused. My study showed that households generally have one to two members who do the shopping, but crucially there is typically just one person who takes responsibility for putting the food away. This means other occupants often don't know where to find specific food items, leaving them unsure of what foods are available. Respondents in my survey often reported finding foods such as half a tomato lurking in the fridge, and being unsure of how to use it or how it got there, would just leave it to go off. Sound familiar? To combat these factors, I looked at three different interventions: the Colour Code Project, FridgeCam, and a prototype smartphone app called EatChaFood. The Colour Code Project targets food location knowledge. It involves placing coloured pieces of plastic on the shelves of the household fridge, each colour representing a different food type (green for fresh produce, red for meat, and so on). A chart indicating the arrangement of the coloured plastic was provided on the fridge door, which helps to locate food before the fridge door is even opened. After two weeks of testing, the Colour Code Project had inspired some participants to encourage others to place correct food types onto the correct colour. People generally found the system quite easy to manage, particularly in family households. The outcomes of the project saw food waste reduced quite significantly. The second intervention, FridgeCam, targets food supply knowledge. A camera inside the fridge takes photos of the interior whenever the door is opened, and uploads them to a secure web page that can be viewed on a mobile device. Householders could view the photos while out shopping, which led to a reduction in food stockpiling. While there was a modest reduction in doubling up on purchases, the visibility of some items was low, particularly on items that were located on shelves out of view of the camera. Therefore, while FridgeCam reduced food waste, it was not as effective in reducing waste as the colour code strategy. Image: The EatChaFood app reminds you what you've got at home before you hit the zucchini aisle again. The third strategy, EatChaFood, combines the two strategies described above. The photos of the inside of the fridge are superimposed with the colour zones, and the app also provides a list of all food available in the inventory, sorted by expiration date. The app also boosts food literacy by providing a searchable library of recipes, prioritising those items in the fridge that are about to go off. 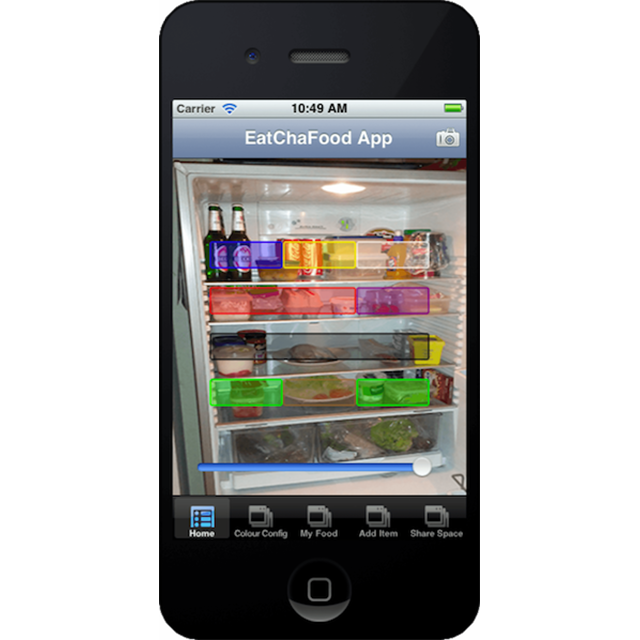 Finally, Fridgescope, a food-sharing platform was a feature of EatChaFood, allowing participants to share food with other households if they knew that food couldn't be consumed. The app was effective in reducing food waste, with notable or significant reductions reported by the participants. Of the three interventions, the colour coding was the most successful in reducing food waste. This is because this intervention takes place right at the heart of the problem – the fridge – and also because it turns out that knowing where food is located seems to be more valuable in terms of avoiding wastage than knowing your whole inventory. Colour-coding is simple, easy to implement – coloured pieces of plastic are available in most office supplies stores – and can be tailored to your own household's preferences about where to store different foods. Simple habits are obviously the easiest to adopt, although technology such as the EatChaFood app can also play a key part in the reduction of food waste in the future. One possible barrier to the widespread use of apps like this is the need to update the data automatically rather than laboriously by hand, which will mean gathering key information about our purchases while we shop. Much of this information is already compiled, for instance through supermarket reward card schemes, although this information is typically the commercial property of supermarkets. Information such as when we shop, what we buy, and how much, are just some of the useful pieces of information that can help to put technology at the forefront of the fight against food waste. But in the meantime, if you tell everyone in your house always to put the tomatoes in the same place, you'll probably end up with fewer soggy tomatoes in the bin.